Chris Kim is a senior vice president and chief investment officer for Tompkins Financial Advisors. He is responsible for the administration and management of the multi-billion dollar wealth management portfolios and overall client investment program. Responsibilities include establishment and maintenance of sound investment policies in conjunction with the Investment Committee. He supervises and leads an internal team of traders and professionals who oversee external money managers as well as select individual securities. Chris began his financial career as an emerging markets analyst in 1992 and worked on the institutional sales and trading desks of multinational investment banks in New York, London and Asia. 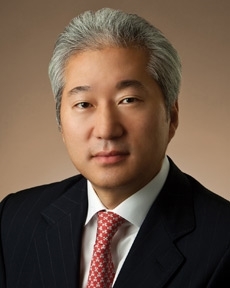 Later, he was named President of Samsung Securities America, responsible for building U.S. institutional equity distribution business and prop-trading capabilities. As an adjunct faculty member of the School of Business at Ithaca College, Chris enjoys teaching practical finance and investment courses including Technical Analysis to MBA students. Chris is fluent in Korean and able to read Chinese.